BJP activists alleged Trinamool Congress (TMC) supporters had pulled down hoardings and banners announcing PM Modi's visit. A makeshift welcome gate was also found pulled down, they said. Kolkata: Bharatiya Janata Party (BJP) National Secretary Rahul Sinha on Saturday said that posters of West Bengal Chief Minister Mamata Banerjee were deliberately being put over Prime Minister Narendra Modi’s banners ahead of the party’s rally which is scheduled to be held today in North 24 Parganas and Durgapur. BJP activists alleged Trinamool Congress (TMC) supporters had pulled down hoardings and banners announcing PM Modi‘s visit. A makeshift welcome gate was also found pulled down, they said. Stating that putting up of posters is proof that there is no democracy in the state, Sinha said TMC’s hooliganism was on full display when one of the BJP workers who protested against such activities was attacked. A complaint has been lodged with the police, he said. He further stated that BJP believes PM Modi’s meeting will be historic and successful. Union Minister of State for Heavy Industries Babul Supriyo also alleged that TMC activists had attacked BJP workers and claimed that they had pulled down posters of PM Modi and replaced them with hoardings of WB CM Mamata Banerjee. The BJP leader had alleged there was ‘jungle raj’ in West Bengal. PM Modi will address an event in North 24 Parganas’ Thakurnagar organised by the Matua Mahasangha around 12 PM. He will then address the rally at the Nehru Stadium in Durgapur by 2 PM. 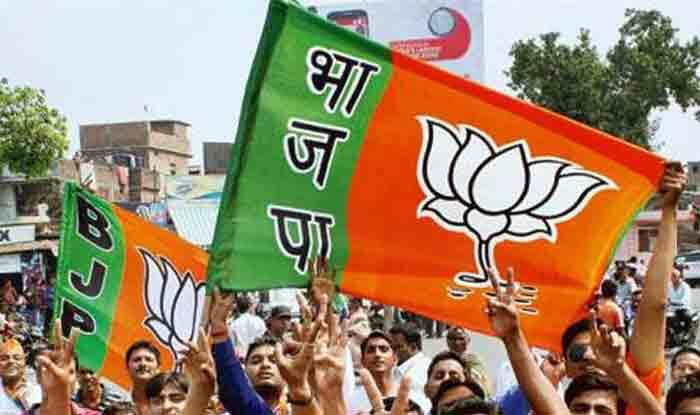 The BJP had shifted the rally venue for Modi to the Nehru Stadium after the district administration denied permission for using another venue. In Durgapur, Modi will launch a nearly 300km-long electrified stretch of the Railways, comprising the Andal-Sainthia-Pakur-Malda and the Khana-Sainthia sections. He will also inaugurate the 20km-long Hijli-Narayangarh third line. The BJP state unit is hopeful that PM Modi will speak on the Citizenship (Amendment) Bill at Thakurnagar. Meanwhile, the Durgapur rally will be part of BJP’s ‘Ganatantra Bachao’ (Save Democracy) programme in the state.